More than 1,600 young women have put forward suggestions for how to make Belgium's music festivals a safer place - after a study earlier this summer revealed one in six women aged 16-24 had been sexually harassed at a festival. Not-for-profit organisation Plan International Belgium set up information stands and suggestion boxes at most of the major summer festivals and also collected survey responses online. Among the most-common recommendations are better-trained festival staff, especially security guards, and a dedicated 24/7 phone and SMS alert number to report cases of harassment. The survey respondents also called for better protection of women's toilets on music festival sites and for a tougher stance on over-consumption of alcohol and drugs. Plan International spokeswoman Manuela Varrasso said: "Our campaign over the summer has made a lot of noise. It has made several festival organisers - and politicians - aware of the issue." 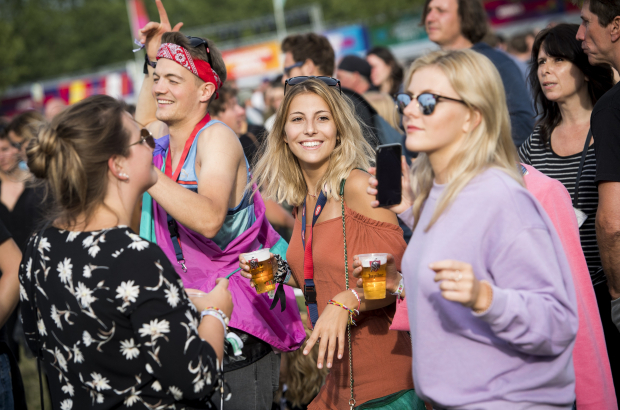 Since the campaign launched, the Wallonia-Brussels Federation has set aside €250,000 to support initiatives aimed at stopping sexual harassment at open-air music festivals. The first phase of Plan International's study, which was published in June, found that "sexual intimidation is alive and well at festivals" - with 14% of young women saying they had been the victim of sexual harassment at a festival over the past three years. Respondents gave examples that ranged from sexist remarks to unwanted touching in the tightly packed crowds to outright sexual assault. Most of the respondents said that they weren’t sure how to handle such a situation if they saw it.